Imagine waking up to a distorted view on a daily basis. Doesn't sound very enticing. Does it? The prolonged Delhi smog until now has left many Delhiites grim-faced, turning their lives from slightly inconvenient to utterly miserable. From suffering from factors like minor suffocation and poor visibility, Delhiites have now been victims of frequent accidents and diseases triggered by the smog. Commuting to work every day or planning a day with friends is something that has become almost next to impossible. However, during this tight phase, it is essential for people to keep a good track of their health. Here are some highly effective foods that definitely do the above deed and help you survive through the deadly smog. There is absolutely no difficulty involving them in one's daily diet. 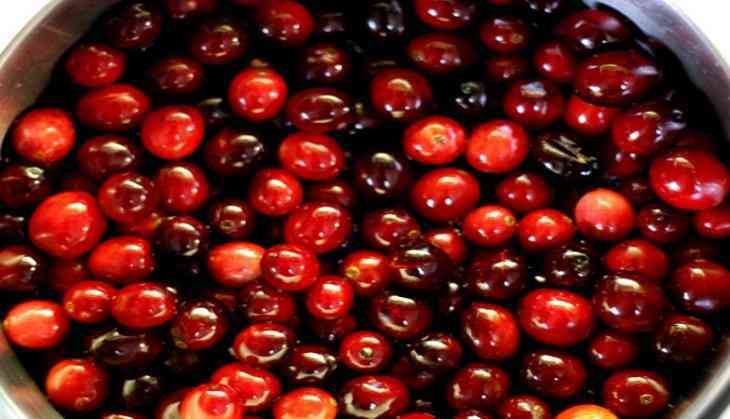 -Cranberries: A highly nutritious fruit that is equipped with Vitamin C, E and A. At this time, a lot of people are deprived of sunlight which is an extremely rich source of Vitamin C, but thanks to cranberries, Vitamin C deficiency won't be a problem anymore. Another benefit offered here is the complete protection from all sorts of skin problems as caused by the smog. U.S. Cranberries with their high concentration of antioxidant & nutrients, can help build immunity and fight infections. For example, add them in your fruit smoothie or oatmeal. Else, eat dried cranberries alongside nuts and roasted almonds. -Lemon: This fruit comes packed with a plethora of benefits. From cleansing to improving digestion, a lemon does it all. During the pollution phase, it is indeed quite essential to stay hydrated. Drinking lemon water from time to time will help maintain sufficient hydration within the body. Adding a little bit of lemon to tea can help clear throat related problems, again triggered by our dear old friend- The Delhi smog. Like cranberries, lemon can be seen as a powerful agent to fight skin problems like- skin cancer. - Walnuts: Suffocation and congestion happen to be the two most prominent problems associated with the smog. Walnuts play an important role in cleansing congestion from lungs, thereby eradicating respiratory problems to a huge extent. Apart from the above action, walnut is known to be an effective mood booster. Hence, despite of how much the smog makes you feel low, a walnut or two will help brighten your day. - Water: In this situation, consuming a minimum of two litres is essential. Water helps in flushing down residual toxins that have entered the body owing to the pollution. Staying dehydrated can have adverse effects on one's health, especially given the current scenario. Stomach problems as well are quite prominent at such a time. Hence in order to mitigate digestion problems, one mustn't skip drinking water. -Jaggery: Locally known as gur, jiggery is another efficacious food agent in this case. Being richly packed with iron, it increases the hemoglobin content which simultaneously helps in increasing the supply of oxygen in blood. As a result of this, there is ample protection from the acute effects of the pollution.